Play Book of Ra™ online for free now! Treasure hunting with the ancient pharaohs: Book of Ra™ takes you directly into the royal burial chambers! 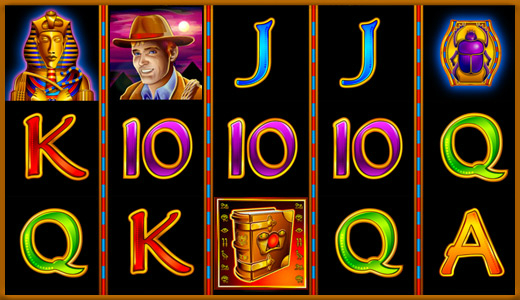 Your adventure starts on 5 reels and 9 win lines, and with some luck the right combinations will lead you directly into the bonus games! Bring the mysterious signs in the right order and unimaginable riches will be yours! Your goal is to land five matching consecutive symbols along a win line, starting on the left. You can view the prize ranges for each winning combination in the paytable. 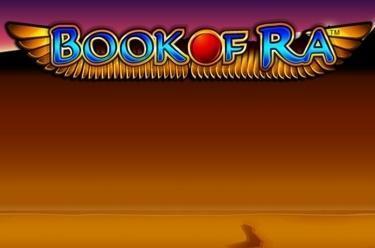 The 'Book of Ra' substitutes all symbols except for the Bonus symbol and will give you the odd winning combination. The 'Book of Ra' symbol complements winning combinations but is also the key to your big win: Land 3 or more 'Book of Ra' symbols anywhere on the reels to trigger 10 Free Spins. The bets and number of lines of your last regular game will be carried over. A Bonus symbol will be determined, which can fetch you big winnings! Bonus games pay out according to the paytable in the free games even if the winning combinations are not matching. Bonus symbols can also become active after a win and take over all reel positions.